There is an obvious difference between the average couch potato who spends his or her free time playing video games day after day and the refined individual who attends opera houses on the weekend. But now, an event has come to bridge the gap between the digital proletariat and the musical bourgeoisie. Internationally acclaimed producer James Michael Hall aims to showcase the art of video-game music in a refined setting by channeling its structure through the Utah Symphony. This one-night-only concert extravaganza also will feature conductor Eric Roth. Performing the soundtracks of popular video games, Play! presents symphonic interpretations of classic and blockbuster games including: Super Mario Bros., Castlevania, Sonic the Hedgehog, Kingdom Hearts, World of Warcraft and Halo. 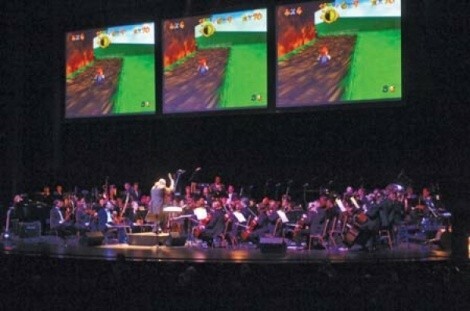 Hall’s attempt to legitimize the art of gaming is enhanced with graphic images of these popular franchises that accompany the concert. Play! A Video Game Symphony @ Abravanel Hall, 123 W. South Temple, 801-355-NOTE, Tuesday, Nov. 17, 8 p.m. UtahSymphony.org.